Zemana AntiMalware rescues your computer even when other security software has let you down. There’s no need to tinker with confusing settings—with years of experience built-in, it just works “out of the box”. All you have to do is download and run AntiMalware… then sit back for about few minutes while it scans your machine and eliminates all potential threats. AntiMalware is highly optimized and lightweight with virus definitions stored in the cloud, not cluttering up your drive. 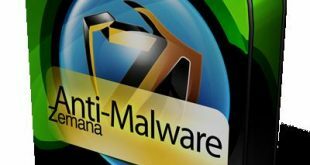 AntiMalware bypasses malware infections to perform a thorough scan, and cleans even the most advanced threats like rootkit and bootkits. AntiMalware uses the Scan Cloud, a highly-optimized cluster of computers running 10 always-up-to-date Antivirus Engines. This gives you the power of multi-scanning without any of the downsides such as drain on system resources and conflicts between programs. Currently, at least 300K malware threats are detected daily. Not all engines can detect all threats, so one antivirus engine is no longer enough. Only multi-engine scanning technology can ensure no threat goes undetected. That’s why we use 10 different antivirus engines. The best place for these engines is on the cloud, rather than interfering with each other and using up your system resources—hence our Scan Cloud. – Reduced detection time for new virus outbreaks. – Increased zero hour detection rates for all types of malware. – Rapid simultaneous scanning by multiple engines without conflicts or system resource issues. Scan Cloud is highly-optimized cluster of Virtual Machines running on Microsoft Azure platform and uses 5 best AV engines from “Metascan 16” plus our in-house developed engine. – Removes unwanted apps, annoying toolbars or browser add-ons. – Finds and removes even deeply embedded advanced threats like rootkits and bootkits. – Scans thousands of files per second. – Compatible with other antivirus solutions. – In-house algorithms for zero false positives. – Doesn’t slow down your PC.